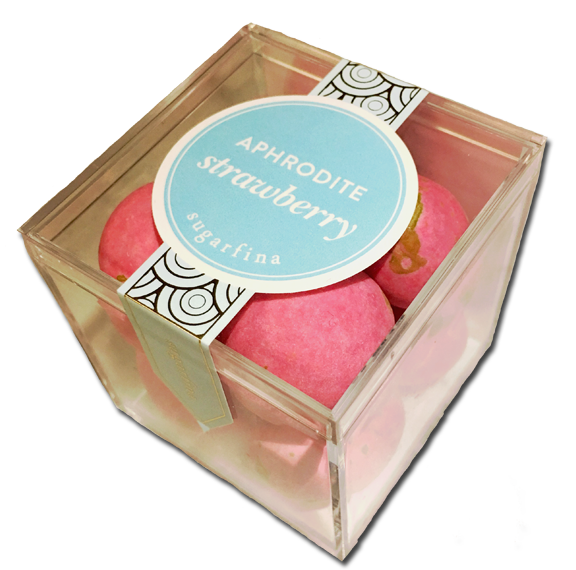 Home » 5 Freshest » Sugarfina Aphrodite Strawberry: As Good as it Sounds? These Sugarfina Aphrodite morsels beckoned me from the shelf in Sugarfinas pristinely clean and sparse Manhattan Beach store. Just look at them. The color is inviting. The green specks remind me of Robin’s Eggs, which I love to eat. The Aphrodites are pretty big, maybe 2/3 the size of a ping-pong ball. Described as candied strawberries in milk chocolate, I thought these would rock my world. So I bought them. And kept them from the kids because I know they’d steal them. Of course now that I think back, I didn’t need to worry about anything. Duh. What kid likes candy with fruit in the middle? Hell, most adults don’t. Temptation pulled me in, yet when I first dove in, these Sugarfina Aphrodites (from Greece, by the way) didn’t turn me on. They were like my first college crush: a hot blonde, but all party and no substance. I couldn’t taste the strawberry for the life of me. The shell was perfect – not too thick, not too sugary – but the flavor lacked. The milk chocolate I liked. 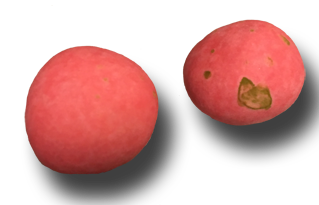 And the light chew of the strawberry was good… I needed to give them another chance. Smart that I did. On my second go around, these got tasty. I took a smaller bite and focused on the strawberry. It was there, and it was chewy. It was fruity but not heavy sweet nor fake tasting. The strawberry was the star of the show and worth it. The milk chocolate tasty and light. The Aphrodites are rich, so you don’t need much. This is packaged like gourmet candy and tastes like it. These are serious sweets. 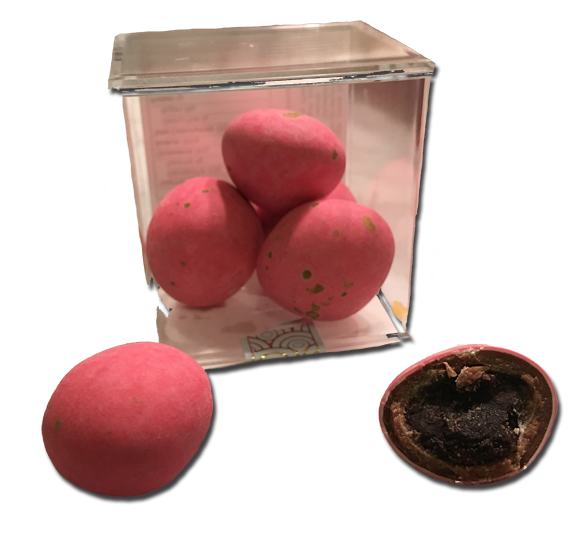 This isn’t our first Sugarfina review – we generally like their wares. If you are having a wedding and need bulk high-end candy, they are top of the pops. Just know going in that these sweets are expensive. They’re not binge-eating-candies – you eat a few and savor. But they’re darned good. And maybe a perfect stocking stuffer for that discerning candy lover in your life. My husband got these for mothers day for me because the Sees candy store he was going for to was closed (It breaks my heart). I disliked them so much a shared them with my kids and they said they were gross. My 13-year-old compared the chocolate to the crappy chocolate wrapped in foil to look like a basketball. I found it to be overly sweet. The center was strange and jelly-like. It says that it has a candied strawberry in it. I don’t know what they did to it. My 9-year-old also said that they tasted cheap. Our family loves chocolate and has tried many kinds. So what if they are from Greece! I would have given this a zero if I could have.